Russell Roberts was selected as TSA’s Chief Information Officer and Assistant Administrator for the Office of Information Technology in January 2018, serving in the acting capacity role since January 2017. 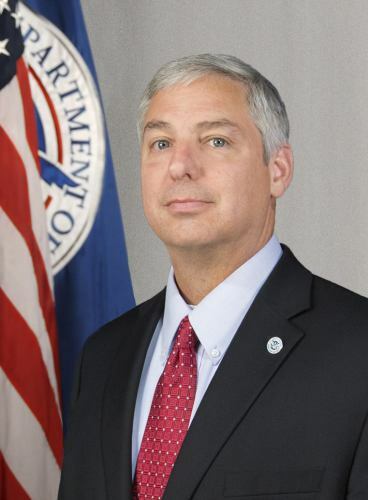 In this role, Roberts is responsible for defining and implementing state-of-the-art information technology services, and developing and executing governance, information security and project management processes to ensure successful deployment of IT services that meet TSA’s counterterrorism mission. Prior to this role, Roberts served as TSA’s Deputy Chief Information Officer from April 2015 until January 2018. Roberts began his career with TSA in February 2004 and has over 29 years of experience as a supervisor and leader. He joined the Office of Information Technology in June 2014 as the Executive Director for Mission Operations, where he was responsible for all technologies and services provided by Secure Flight and the Transportation Vetting System. Previous TSA assignments include Executive Director for Mission Essential Services in the Office of Intelligence and Analysis, General Manager for Security Threat Assessment Operations in the Office of Law Enforcement/Federal Air Marshal Service, and in various leadership assignments overseeing TSA’s criminal, immigration and terrorism vetting program portfolio. Roberts served six years as an officer in the United States Air Force and was a senior management consultant for eight years supporting the Department of Defense and U.S. government clients working in the national security arena. Roberts holds a master’s degree in Public Administration from Golden Gate University and a Bachelor of Science degree from Florida State University. Roberts is a graduate of the Federal Executive Institute and is certified by the Department of Homeland Security as a Level 2 Acquisition Program Manager. He has been a member of the Senior Executive Service since February 2014.